Dr. Kondal Rao has an experience of 22 years in this field. Dr. Kondal Rao practices at Virinchi Hospitals in Banjara Hills, Hyderabad. 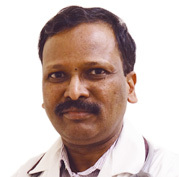 He completed DM – Cardiology from Osmania Medical College, Hyderabad in 1996,MD – General Medicine from Gandhi Medical College, Hyderabad in 1992 and MBBS from Karnataka University, India in 1988. He is a member of Cardiological Society of India (CSI) and FSCAI. Some of the services provided by the doctor are: Pulmonary Function Test (PFT),Treadmill Test – TMT,Cardiac Catheterisation,Holter Monitoring and Mitral/Heart Valve Replacement etc.